Three courses crisscross your city. Have fun with your friends and meet new people. Cook and eat at your place and somewhere else. That is rudirockt! rudirockt is a phenomenal three course menu with piquant flair! Treat yourself to an evening of culinary splendor, dining with your entire city. Cooking is completed in pairs, and every course served in a different kitchen. 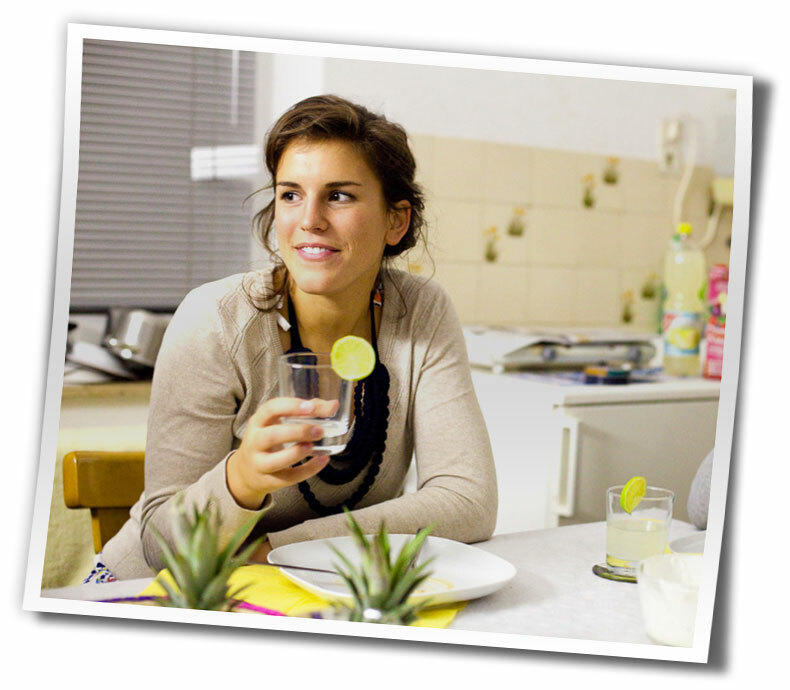 Join online, enlist a cook partner, and get ready to make new friends! Together you'll set off on your personal route, 'rocking' in unfamiliar kitchens throughout your city, and soaking up the praise of the guests at your table. The rudirockt after dinner party is your chance to reconnect with participants while concurrently partying it up with popping music and delicious drinks. Exchange cooking recipes with your new friends and the next meet up. The tastiest way to meet new people! 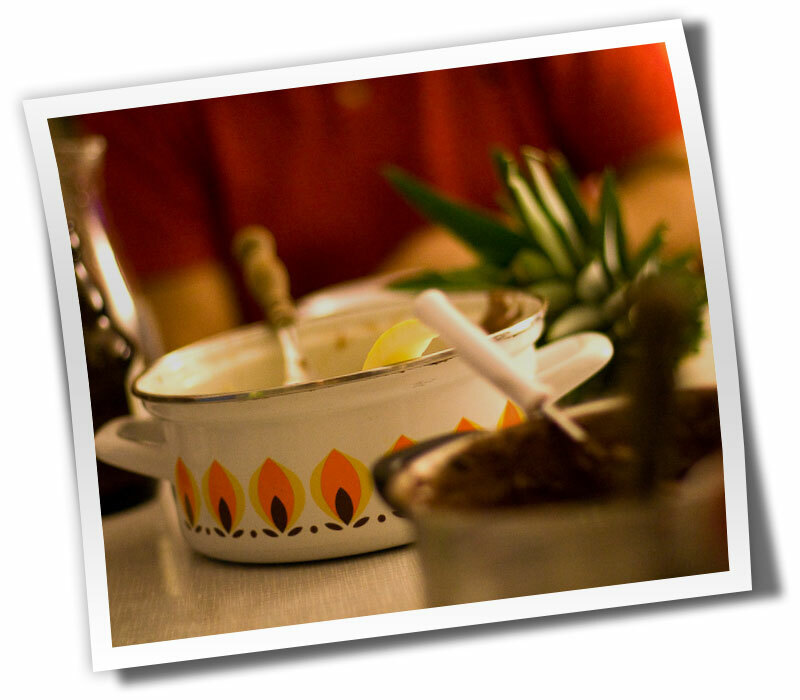 Rudirockt is a 3 course menu that can accommodate any number of participants. Contrary to most three course menus, Rudi rockt doesn't take place in a single kitchen. Rather, the event is attended simultaneously throughout the city. Every course is served in the dining room of a different team. The event ends with an after dinner party, where you have the opportunity to reconnect with participants. After the registration period, you will be sent a personalized dinner route, along with your assigned course (either appetizer, entree, or dessert). This course will be cooked in your own kitchen. Two other teams will join you, resulting in 6 people at your dining room table. At a pre-determined time, each team will visit the home of another cooking pair. Sounds complicated? It's actually quite simple: always a different location, always new people, always delicious! Join rudirockt in your city! Every participant meets two new teams per course making that 12 new people in one evening. 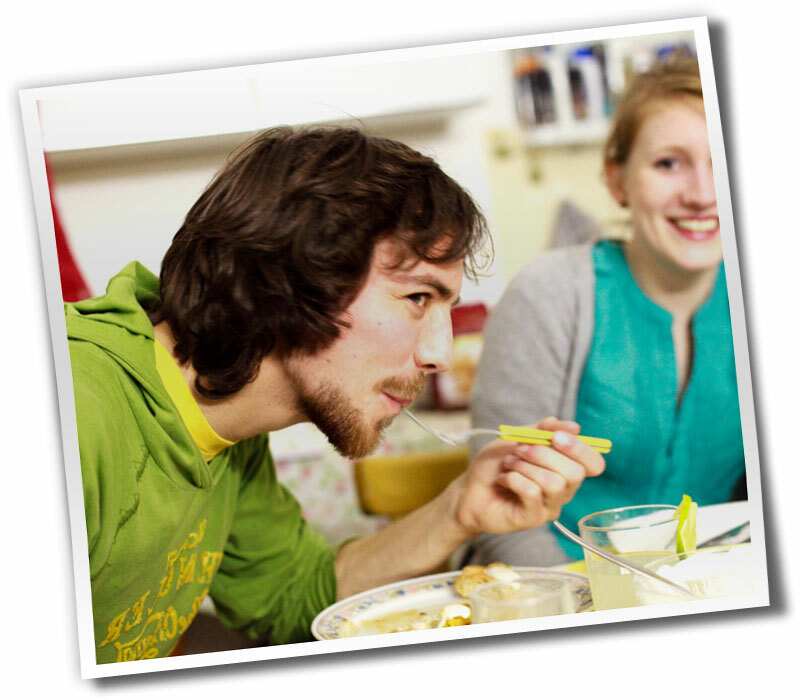 Every cooking team receives a personal dinner route, so that you won't have to worry about meeting the same pair twice. Find an event in your city, and sign up with a cooking partner. Simply pull up your route online, and get going. A great chance to get to know new people in your city! Still questions left? Just have a look in our FAQs!